This course presents a series of advanced cranial sacral hand holds and teaches the practitioner how to use these holds to effectively address temporomandibular issues as well as move move deeply into conversation with the cranial sacral system. This work assumes familiarity with ourBiodynamic Craniosacral Therapy: Volume 1 series, and Biodynamic Craniosacral: Volume 2 – The Hard Palate. The student is guided with stunning anatomical graphic presentations of the temporomandibular structures. Each technique is explained in a clear and precise fashion enabling the practitioner to bring the system back into balance and proper function. A review of the previous material that is the foundation to effective TMJ work. Anatomy and the motions of the bones that are integral in an effective approach to the condition. You have the freedom to work at your own pace, moving on to the next concept once you have had time to practice and become familiar with the previous one. Sign up for access to the whole course or sign up for each module when you are ready. 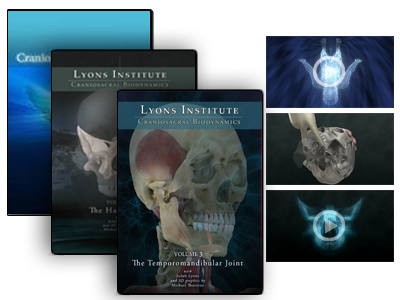 We offer the Biodynamic Craniosacral: Volume 3 course in two different formats. Please see our options below to determine which one best fits your needs. (Includes free shipping within the United States.